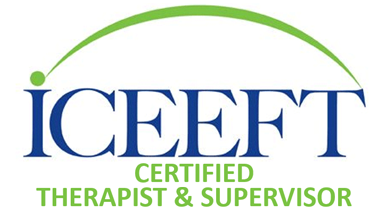 As an AAMFT Approved Supervisor and an EFT Supervisor, Herman offers clinical supervision for psychotherapists, counsellors, social workers, and Marriage & Family Therapists who want to hone their clinical skills. A well experienced therapist and supervisor, Herman can guide you in your development as a therapist. Supervision sessions focus on improving skills in assessment, intervention, termination, safe and effective use of self, etc. There are 3 main therapeutic models that inform Herman’s approach with therapy: Emotionally Focused Therapy (EFT), Cognitive Behavior Therapy (CBT) and Solution Focused Therapy (SFT). He is also familiar with many other therapeutic models such as Narrative Therapy, Experiential Therapy, Structural Therapy, etc. As an adjunct professor of counselling, Herman teaches these models at University of Guelph and Tyndale University College and Seminary. Any psychotherapists who want to practice psychotherapy in Ontario must have at least 100 hours of supervision before they are able to practice independently. A minimum of 50 hours must be individual or dyadic supervision. Any marriage and family therapists who want to attain clinical membership with AAMFT, they must receive 200 hours of supervision. A minimum of 100 hours must be individual or dyadic supervision. Any therapists who want to become a certified Emotionally Focused Therapist must receive at least 8 hours of individual or dyadic hours of EFT supervision. 4 of these 8 hrs can be in group supervision provided that the supervisees are presenting their own clinical cases. Most people require more than 8 hours in order to produce tapes demonstrating EFT stage 1 and stage 2 work with couples. Group supervision is a great way to supplement your learning. If you want to be an AAMFT Approved Supervisor, Herman can be your mentor as Supervisor Candidate. According to AAMFT, you would need to complete 36 hours of supervision of supervision.